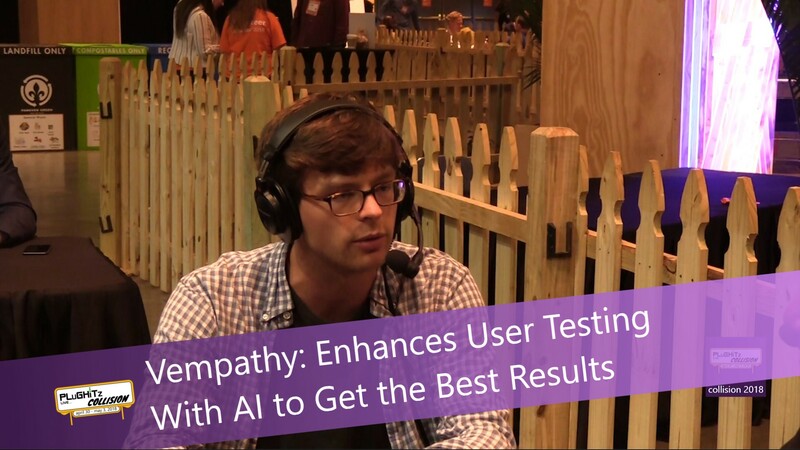 With everything being quantified these days, user testing has become important within multiple business applications. Paul Cheek, CEO of Vempathy, was at Collision Conference 2018 to showcase their new online usability testing platform and video analysis software. He explained how there are now a lot of companies that put a lot of emphasis on user research. But it is so time-consuming to go through hours and hours of video to discern the insights and emotions required for this type of research. Vempathy's AI approach is able to bring research faster and at scale. The process starts at the project launch when clients decide what exactly they want to be tested, whether it be their website, onboarding flow, or even a new feature. They then send their Vempathy URL to the testers so that they can record themselves. In the next step, they review the qualitative results with their emotion analysis technology. Vempathy produces qualitative emotion reports so that can easily identify the most insightful moments of the user's recordings to then collaborate with their clients on annotations. And it's not just raw data. They also produce short highlight reels of the most emotional moments that can be shared with the teams. When it comes time to present the results, this is where they shine. Their specialty is extracting quantitative data from the qualitative research. They provide a reporting suite that provides clients with quantitative data, which can be presented to the entire team to not only justify changes but also inspire action. Output includes journey maps that are automatically generated that allow clients to measure emotion throughout the user experience. There are also iterative Results that show how user emotion valence is increasing and decreasing from iteration to iteration. And advanced emotion tracking is more of a deep dive on all of the 4,200 emotion data points that are tracked by the millisecond. To learn more about their process and pricing, be sure to visit their website after the interview.